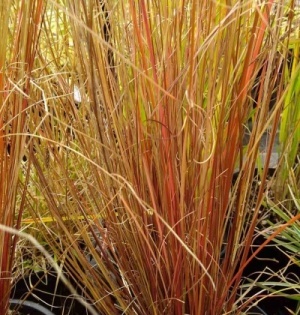 Ornamental grasses are indispensable - they provide contrast to more colourful plants, and move gracefully with the wind. 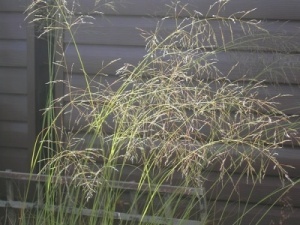 They can be grown in a mixed border, or in a 'grassery' by themselves, and they look great in pots. 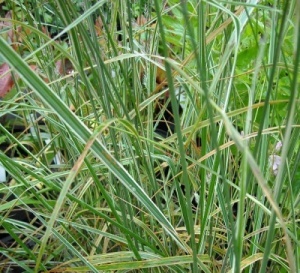 A tall variegated grass with green leaves each with a creamy-white edge. Showy plumes of pinkish flowers are produced on vertical stems in late summer and persist into winter. 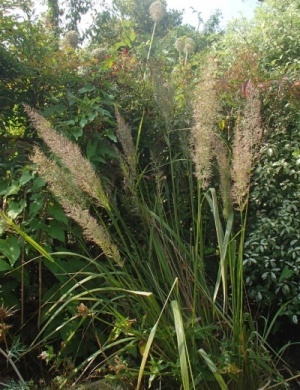 Clump-forming species with showy, feathery purple flower heads, fading to bronze from summer to early winter. 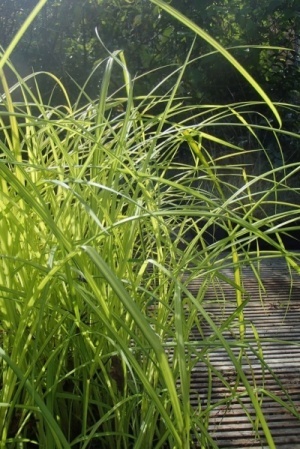 Clump-forming evergreen variegated sedge which spreads gradually to make good ground cover in shade. Prefers fertile, well drained soil in part shade. 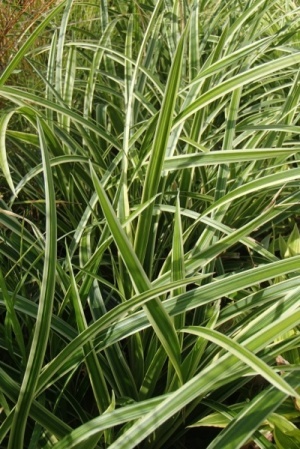 The Palm Sedge has feathery bright green leaves held horizontally from the stem. Requires moist soil and is ideal for a bog garden or pond margin.